Over the years Google have continually changed the look and feel of the paid search ads that appear on their search results pages. Until very recently there were up to 10 paid ad placements on the first page of a Google search query. Now, there are only four paid ad positions at the top of the page, and occasionally one or two spots at the bottom (but who really wants to appear there?). Therefore, it is imperative now more than ever that your paid advertisements are put on AdWords Steroids stat! It may appear as though the ads are simply written manually and placed in the preferred order as they appear, but that is not correct. Every line, dot point, link etc constitutes a slightly different ad offering by Google. By utilising these, your ads can receive a better ‘Quality Score’ and appear consistently toward the top of the Google Ad Rankings. So, as promised, here is an outline of the anatomy of a Google AdWords Ad that will give you the best chance of AdWords success. I’ve searched for “Buy gym bags online” and an ad for ‘Rebel Sport’ has appeared. They use a variety of best practice ad copy settings and an array of additional extensions to ensure their ad appears dominant over other competitors. So let’s look at the anatomy of this ad which should help you workout how you can implement similar practices. This ad used Googles’ newer ‘Extended Text Ad’ format which consists of two headlines (separated by the hyphen) consisting of 30 characters (including spaces) each. Headline 1 most probably uses dynamic keyword insertion which is a very clever and quite useful technique. As the name suggests it dynamically inserts the keywords I used in my search query into part of the headline to seem relevant. In this case the dynamic keywords inserted are “Buy Gym Bags” and then they have included “at rebel” afterwards. Similarly, they may do the same thing for something like an “Athletics Shoes Online” search query. Their Headline 1 in that instance may appear as “Athletics Shoes at rebel”. Headline 2 represents the offer as to entice my click. I’ve searched for “Buy Gym Bags Online” which Headline 1 shows me that Rebel Sport has what I need and Headline 2 is representing me with a Sale offering. Before even looking closer at the rest of the ad I’m enticed to click. The display URL is exactly that – a display. It appears as though it is the webpage destination that the subsequent click will be directed to, however in this case it is just smoke and mirrors. What they’ve done here is utilised a “URL Path” which is another new aspect of Googles’ ad copy. Essentially, it is simply a way of outlining the page (true or not) that the potential customer will be directed to. In this case, Rebel Sport want the customer to think they are going to the “New Year’s Sale” page where they will potentially get a discounted gym bag. Review Extensions are a great way of advertising trust and social proof to potential customers. By showing a star rating for certain products and/or services you are effectively telling the consumer that there is very little to worry about as outlined by the reviews left by previous customers. In this case, a rating of 4.7 stars for Rebel Sport suggests that they are a reputable company with quality products. Not to mention, the orange review stars stand out like a giraffe in a pack of zebras – further enticing my gaze and subsequent click. Review Extensions aren’t that easy to get however (and not all that cheap either). You need to enlist the assistance of a Google trusted partner like Trust Pilot who contact your customers after a successful purchase to obtain the required feedback. The results are then filtered through to your Google search results pages. The description is exactly that, a description of what will be seen on the page they customer is being directed to or could even be a generic outline of your company philosophies or mission statement. Don’t get too in-depth though, you’re only allowed a total of 80 characters for this section. In this example, Rebel Sport have continued down their sales messaging path and used the description to alert me of the fact that I can get items for up to 40% off. They’ve also informed me that the sale ends on January 7 and given me multiple directives to “Hurry” and “Shop Now”. They’ve used the description field to enhance their headline messaging and have given specifics around their sale offering which is a great use of an ad description line. Call-Out Extensions are a must-have for any AdWords campaign. They are tiny non-clickable snippets (25 characters) of quality information that you can utilize to great effect to outline information about your company history, product offerings, additional offers and much more. These give me some great information that may entice my click and subsequent purchase. For example, I now know that I can purchase gift cards, they stock major brands with a massive selection and that I can make free and easy returns if required (albeit with an asterisk). Sitelink Extensions are very valuable clickable links of 25 characters that can be used to direct potential customers to other relevant webpages that may peak their interest. They can also be used to promote pages or offers that are more relevant to your marketing needs as opposed to meeting the forecasted needs of customers. Rebel Sport have chosen to use the sitelinks to promote their ‘Nordic Track’ exercise equipment, as well as their ‘Crossfit’ range and have also encouraged people to join their “Loyalty Program”. By doing this they are giving the opportunity to potential customers to view a wider range of product offerings as well as enticing them to essentially become a part of their email database. This ad gets my attention and tells me a lot about the products and services they can provide me. And look at the amount of real estate they take up…. Location, Location, Location. Speaking of location, Rebel Sport have also utilised ‘Location Extensions’ to outline the physical location where you can find their store. In this instance it simply says “Melbourne” which is still relevant, but my specific search query outlined that I was looking for gym bags “online” so in this case it’s probably slightly less relevant. However, if I was to search the same query on a mobile device whilst in the city the same ad may appear with a specific, more relevant location and the distance from where I am located, supply a click-to-call button or a clickable access to a details page for the location—with information such as hours, phone number, photos, customer ratings, and directions. Opening Hours Extensions are not as commonly used or as well-known but can be extremely handy if used properly. They essentially alert the potential customer of your hours of operation for that day as well as opening hours for the remainder of the week (if setup correctly). This extension is possible when you have the opening hours information set on your Google My Business profile and have it linked to your active AdWords account. There is no guarantee that should this be completed that the opening hours will still appear successfully on AdWords as there are multiple factors Google take into account. They consider factors such as relevance, user location and other factors that Google haven’t made public to users as this extension is still technically in testing phase. Should you require this extension your best bet is to contact your Google AdWords representative and request this be made available to you. *Note: Should this extension option not be available to you, it can also be implemented by amending your operating hours details in your Google MyBusiness settings. There is a litany of extensions that can be used in order to supply potential customers with the information they need as well as specific information you want to advertise to them. Other great extensions that can be useful are price extensions, call extensions (different to call-out extensions), structured snippet extensions and much more. It’s important that you make yourself aware of all of the Google ad offerings to ensure that you are making the most of your AdWords campaigns and that your ads are supercharged for best results. Author Bio: Dan Young is the Paid Media Manager and ultimate office legend at Melbourne based digital media agency, BizWisdom. In his many years in digital marketing, he has acquired in-depth knowledge of AdWords, Bing Ads, and several other platforms. He has managed accounts across a range of sectors with a specialisation in legal, not for profit and ecommerce. 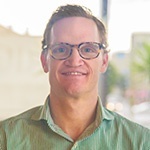 Dan is a thought leader when it comes to campaigns designed to drive quality leads and conversions, regularly contributes to BizWisdoms’ blog and loves all things sport.